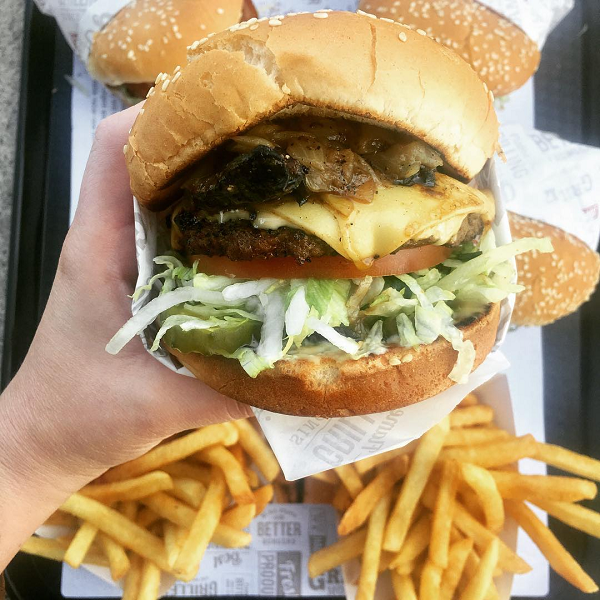 The Habit Burger Grill continues to make inroads into the Inland Empire with a new location in Rancho Cucamonga. While the official grand opening will take place at 10:30 a.m. Thursday (May 4), the burger chain isn’t waiting until then to celebrate. The first pre-opening event will take place at 11:30 a.m. and 5 p.m. today (April 28), when the first 400 guests will receive a free Charburger, fries, and a drink during Free Burger Day. 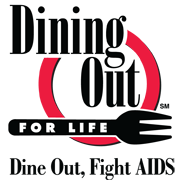 Thursday (April 27) is Dining Out For Life, an event during which restaurants give a portion of proceeds, or a flat amount, to AIDS service organizations. 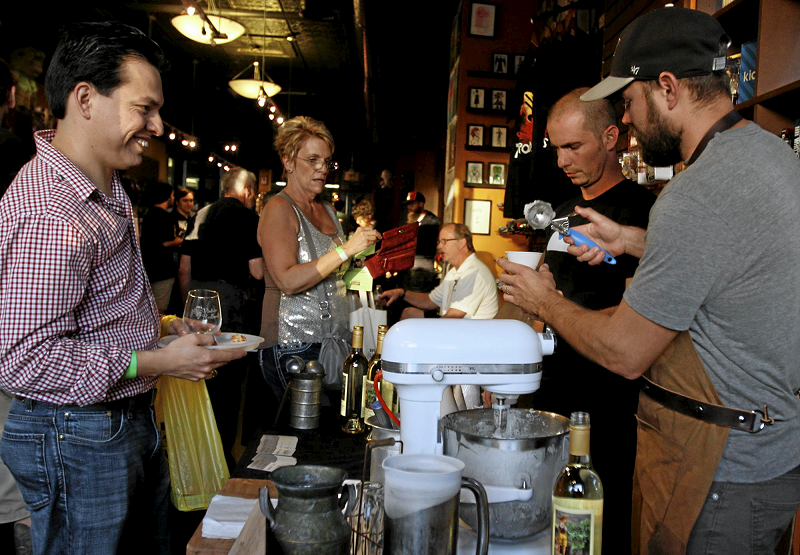 In years past, that generally meant driving out to the Coachella Valley, where you could find many restaurants which were participating in the fundraiser. Not so any more. While there are still many restaurants in the Coachella Valley that are involved (and helping support Desert AIDS Project), several local restaurants have signed on to help support the cause. 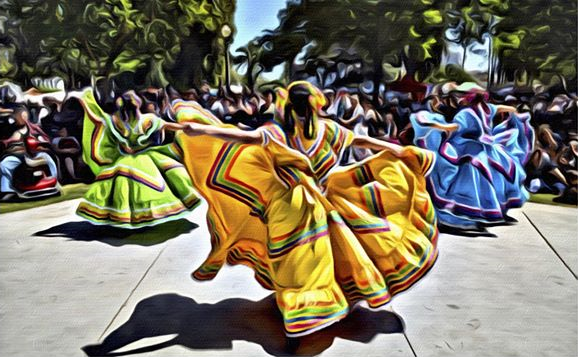 Tamale fans will want to head to Riverside’s White Park in Riverside on Saturday (April 22). That’s where the fifth annual Riverside Tamale Festival is set for 10 a.m. to 7 p.m.
Spring has returned, and with it, food trucks have returned to Fairplex in Pomona. 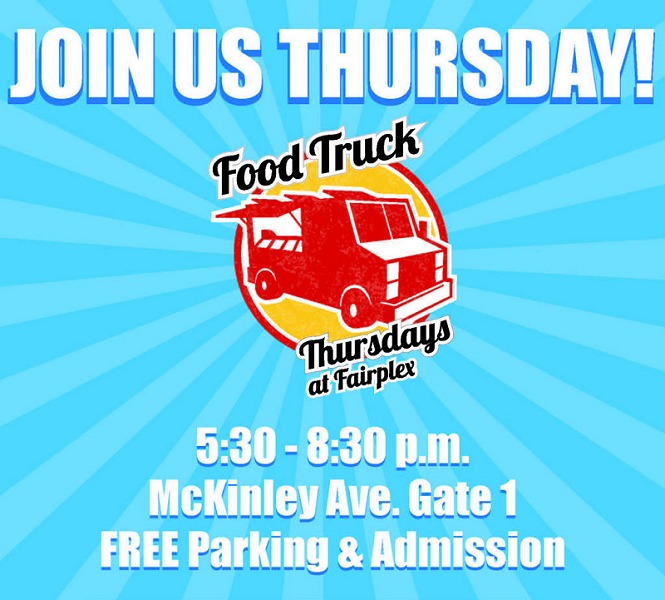 Food Truck Thursdays started up again last week. Dunno how this one slipped by us…I thought I was keeping a pretty good eye on it. 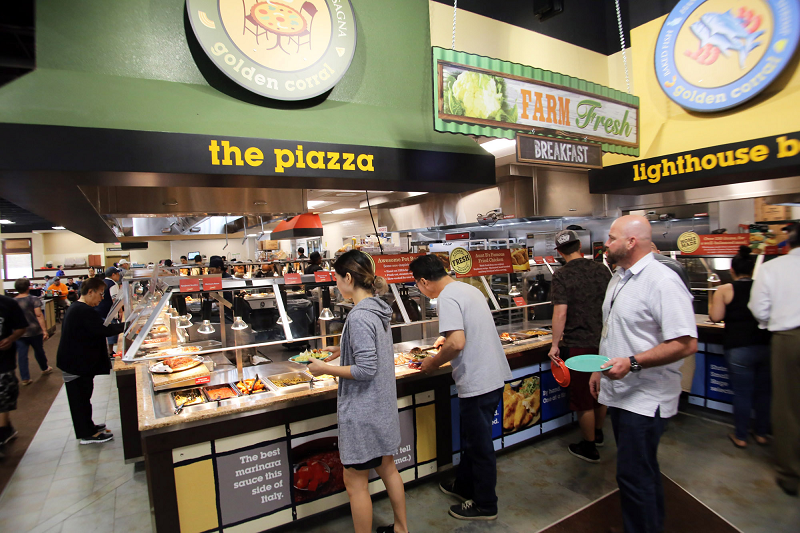 The Pomona Golden Corral has opened. 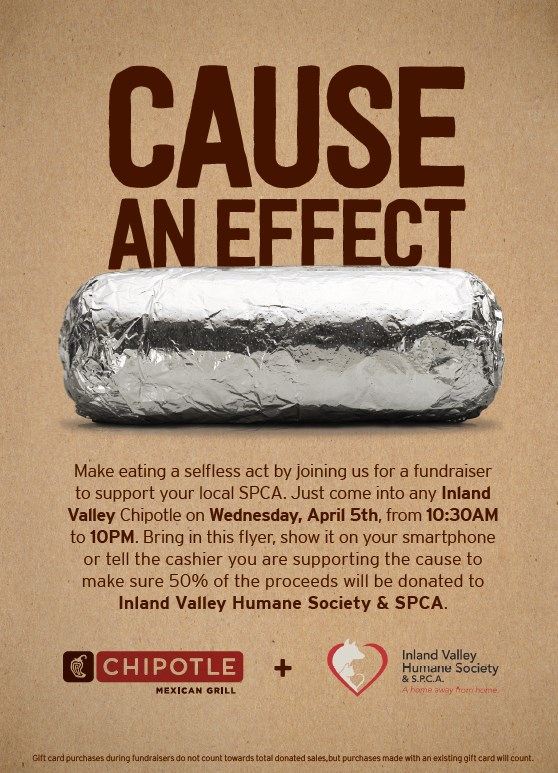 You can help out the Inland Valley Humane Society and SPCA today (April 5), and all you have to do is eat at Chipotle. 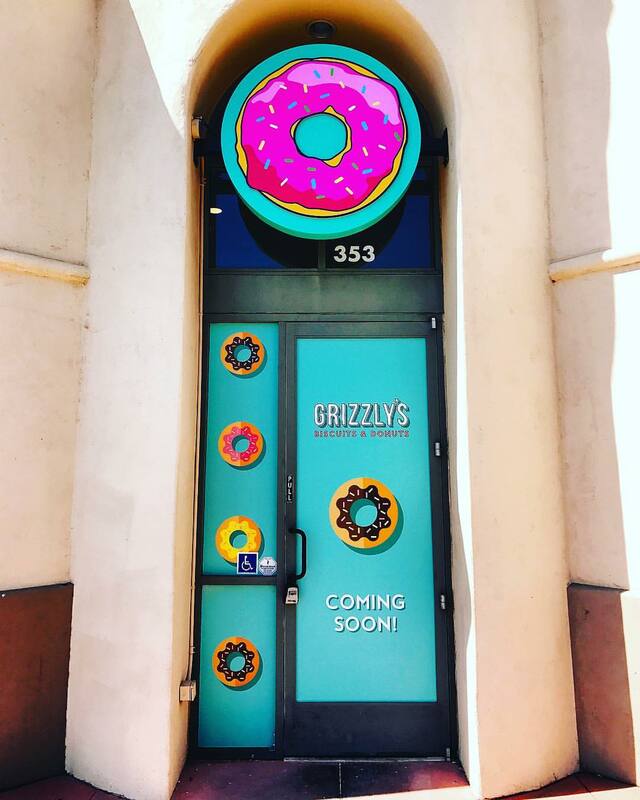 The chain is donating 50 percent of fundraiser sales today to various SPCA organizations, and the local recipient is the Pomona-based shelter.